Football, beer and music. What more could you ask for? You’ll find all three in Vegas this weekend. Preseason football has started so it’s time to get your winning fantasy team together. Several places in Vegas will be holding draft parties and offering specials to all you football fanatics. 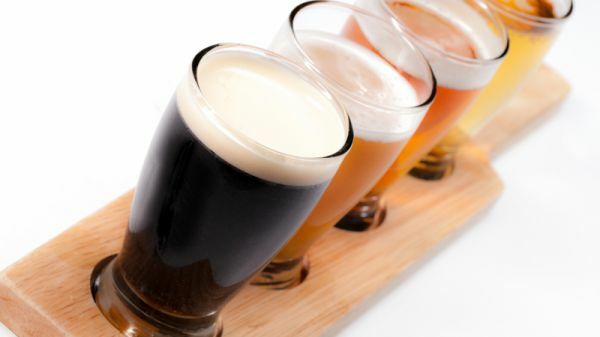 Beer naturally goes hand in hand with football, so head to The Cosmopolitan of Las Vegas for the Desert Hops festival. If football and beer aren’t your thing, there’s plenty of other stuff to do in Vegas this weekend. How about some classic rock or some laid back reggae? We’ve got it all. 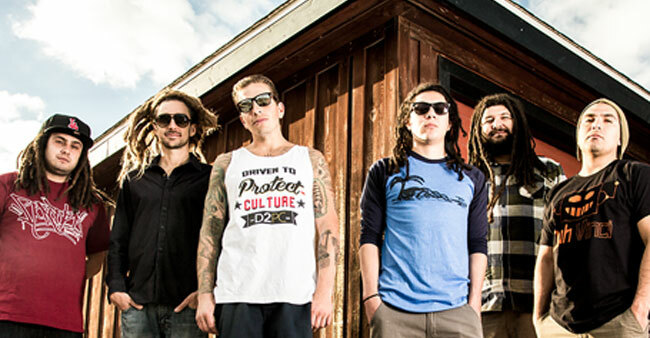 Chill out with Tribal Seeds at the pool at The Hard Rock Hotel. Hanging by the pool and chilling out to reggae music is a great way to spend a Friday night. On Aug. 21 catch Tribal Seeds with special guest The Expanders at the Hard Rock Hotel’s Friday Night Live poolside concert series. Tribal Seeds is a San Diego-based band known for its spiritually driven, refreshing rock vibe infused with the roots style of reggae music. The Expanders, also California based, are known for their classic 1970s Jamaican-influenced sound. Tickets start at $25. Enjoy unlimited beer tasting at the Desert Hops festival. When: Aug. 22, 9 p.m.
Like beer? How about 150 different beers from around the world? That’s what you’ll get at the Desert Hops festival Aug. 22 at 9 p.m. at the Boulevard Pool at The Cosmopolitan of Las Vegas. There will also be new selections from Nevada brewers. Guests will enjoy musical entertainment, unlimited beer samples and the tastes of multi-cultural food offerings prepared by restaurants. Hops connoisseurs who purchase a VIP ticket get perks like pours from one of Firestone Walker Brewing Company’s rarest brews and Brooklyn Brewery’s 2013, 2014, and 2015 elite Black Ops. In addition to tasting rare beer selections, VIP guests will also enjoy early entry at 8 p.m. Tickets for Desert Hops start at $45. Peter Frampton and Cheap Trick will be rockin’ The Joint, photo from Vegas.com. When: Aug. 22, 8 p.m.
Two classic favorites will be rockin’ The Joint at the Hard Rock Hotel Aug. 22. 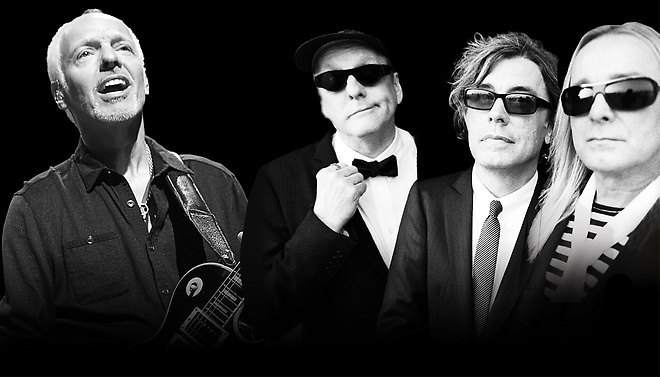 Peter Frampton and Cheap Trick take to the stage for a night full of memorable hits that’ll have you wishing it was 1977 all over again. Football season is nearly upon us so it’s time to assemble your winning fantasy team. If you’re coming to Vegas with your buddies for your fantasy draft, there are lots of places that will be happy to help make it a party. PBR Rock Bar & Grill is hosting fantasy football draft parties throughout August for groups of eight to 16 people. Leagues will get set up with access to free Wi-Fi and a takeaway draft board for those who like to kick it old-school. Other draft day perks include $25 beer buckets (six beers), $35 100-ounce beer towers and select $7 appetizers. PBR Rock Bar’s 105 HDTVs provide the perfect countdown to kickoff. Throughout August, Rockhouse is also hosting draft parties for eight to 16 people with the same drink specials offered at PBR Rock Bar. Rockhouse boasts 80 HDTVs to watch all of the preseason action. Fantasy football leagues that dine-in at Pot Liquor CAS at Town Square will enjoy free Wi-Fi, access to fantasy football draft boards and televisions, free on-site expertise and exclusive food and drink packages. Venus Pool Club at Caesars Palace welcomes fantasy football leagues poolside with special VIP packages. Now through Sept. 14, guests are invited to celebrate football season Vegas-style. The Fantasy Football Package includes a VIP luxury cabana equipped with TVs, a premium draft board with player stickers and a draft hostess offering two-for-one bottle and bucket specials.